Head along the Italian coast to the Tyrrhenian Sea and the south-west of Italy. The Bay of Naples is full of treasures that you can't afford to miss, such as the famous Mount Vesuvius, the isles of Capri, Ischia and Procida, Pompeii and Herculaneum. At about 30 km from the coast, the Pontine archipelago has steep cliffs eroded by the sea into amazing arches. The rocky outcrops are reminiscent of Asia. You are special guests in this marine reserve that only insiders know about. Now you're an insider too. Just a stone's throw from the Bay of Naples, the Gulf of Salerno opens onto the intimate and romantic Amalfi Coast. The Amalfi lifestyle is the concentrated essence of the Mediterranean, with its stunning landscape, its small hotels and restaurants and the hospitality of its people. Ravello, Positano and Portofino are just a few of the spots along this coast with its steep, jagged cliffs dotted with medieval villages. Italophiles flock here every summer, including many well known celebrities. From the bay of Ajaccio to the Sanguinary Islands, from Calvi to the Ile Rousse, Corsica holds many secrets on land and sea. Blessed by the gods, this fiercely independent and wild island has the power to tame nature and delight its visitors. 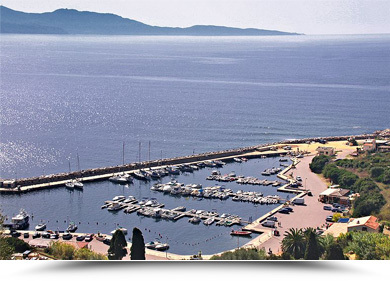 On board your sailing yacht you will discover another Corsica. The North with the marine reserves of Sandola, Piana and Cap Rossu and of course Cargèse and the Iles Sanguinaires and the South between Bonifacio, Roccapina Porto Cervo and Cap Muro. True happiness. 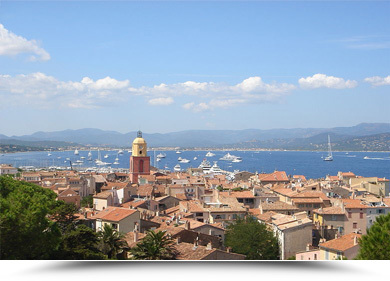 From the port of Hyères to Porquerolles via Saint-Tropez, you can discover the Côte d'Azur, one of these most lovely coastlines in France, from the bridge of your yacht. Sometimes gentle, sometimes rugged, the landscape of the Riviera has uncanny powers to relax. The ultimate luxury of stopping off in small harbours and inlets delights passengers on this extraordinary cruise. Always away from the crowd but close to where everything happens, your sailing yacht is at one with the coast.